It’s been a little over two years since my last Etsy Life post. My how time flies. 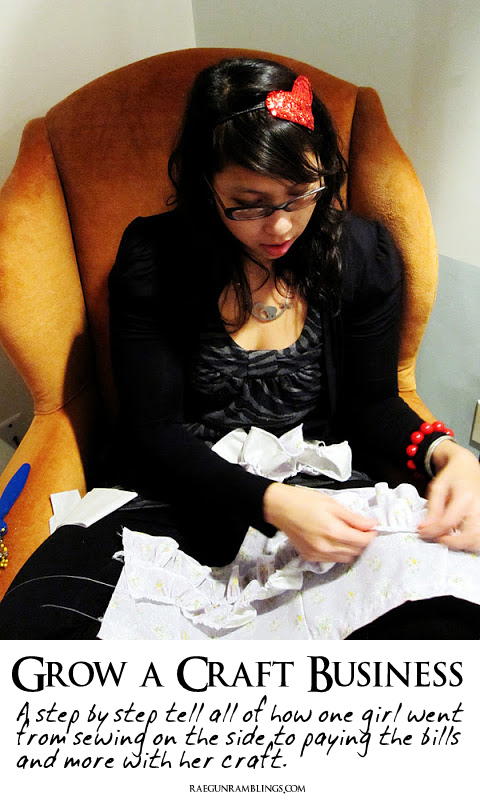 Since then my business has grown, I’ve had a baby, and I’ve learned even more about running a small craft business. I thought it was time to revisit and share some of the things that I’ve learned since then. Whether you are just thinking through the possibility of having a craft business or trying to take your current business to the next level, setting goals is a must. For a long time I just flailed and tried to keep up. When I started to set goals I was able to really evaluate my progress and it became more real. Once you have a goal you can formulate a plan to reach that goal. Make sure the goal is reasonable, measurable, and has a date that you want to complete it by. Here are some things to keep in mind when setting good goals. Write your goals down. There’s just something about putting them on paper that connects with the brain. Set different sized goals both in importance and time it should take to accomplish them. Set measurable goals. Whether it be monetary increase, items sold, or new follows, you want a goal that you can tell when it’s accomplished. Set a timeline to reach your goal. I’m a crazy Shark Tank junkie and Robert once said “a goal without a timeline is simply a dream”. So many times we have great ideas but without putting it on the calendar life tends to get in the way. Also I know for me deadlines give an extra little push that I need. It’s amazing how many lists I make to keep my business trucking. I’ve got lists for orders to fill, potential new products, marketing ideas, and more. 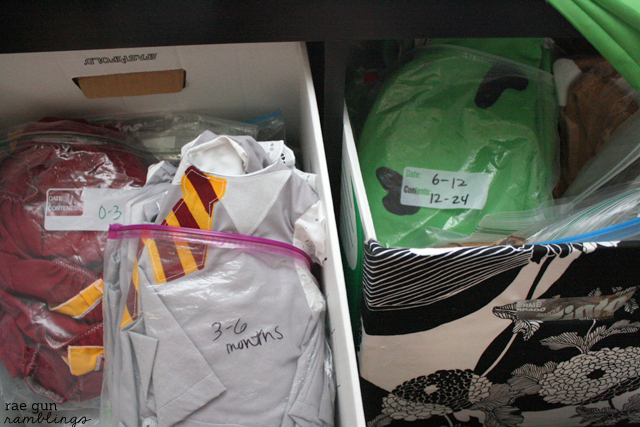 Organization is so important to running a well ordered business. I like to keep a three ring binder that I can more permanent notes to so that everything is in the same place. But for me the process of putting pen to paper really helps organize what needs to be done. Organize your goals. Relating to the last point make sure your goals are written down and kept somewhere you can reference and somewhere that will motivate you to keep striving after the goal. Organize your ideas. If you’re like me you are sure to come up with new ideas whether it’s new products to try or new ways to get your name out there. If you try and do every idea that pops into your head you’ll never have time to finish them. Keep track of your ideas so that when you have time to push more that brilliant idea won’t go to waste. Which leads me to the next point. Organize your time. I’m a big to do list maker. I always have a notepad out where I can write my lists of what needs to get done. Something about the process of physically writing out really helps me to focus on what needs to be done. Also. with online business it’s really easy to allow all of your time to be sucked into computer tasks. One thing that was great for me was to set times to check email. Now I try to only check and reply to email and messages twice a day. That way you don’t have your tasks constantly broken up by replying to people all day long plus you’re less likely to be pulled into facebook. With your time more focused you’ll be able to get more done. I love using fun colors for my lists, I find it makes it less burdensome. Organize your products. However you do it you’ll want to make sure your products or supplies are where you expect them when you need them. 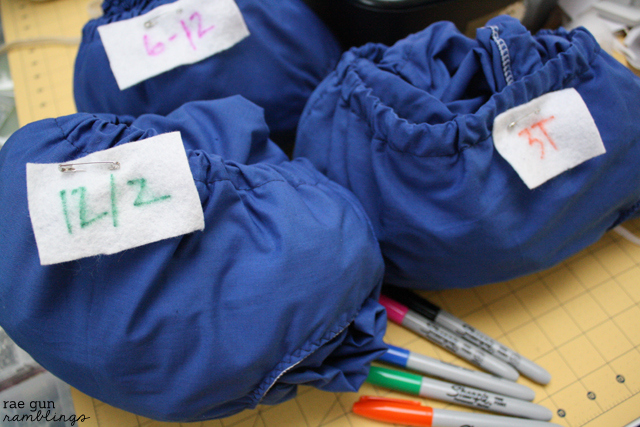 It might be silly but two of the most important supplies for my shop after fabric and sewing machines are plastic bags and Sharpie markers. I use them All.The.Time. I have different colors just for fun and it makes my life way easier. Some day I want to coordinate different colors to different sizes. Since I know I’m not the only Sharpie junkie, and since they really are a great supply for so many businesses I want to make sure you know about the great deal I got. Staples is having crazy good prices on Sharpie Fine and Ultra Fine markers and highlighters while supplies last. I got a big pack of the regular colored markers for just 5$ seriously that’s a steal. Your welcome! It’s really easy to throw everything into starting a business. It can be really rewarding and addicting to watch to your stats starting to climb. But to protect yourself from burn out make sure to set your priorities. It the beginning after things took off I was working All.The.Time. I shared some of this before in my Etsy Journey post but in short it was too much and I was very overwhelmed. More than that I was working just to work. We didn’t “need” the money, I wasn’t pushing for something specific I just got caught up in the adventure of a growing businesses. I like to ask myself and others when they ask me for business advice what the purpose of the business is. Once you know WHY you are trying to build this business the answers to how, how much, and how far will come a lot easier. Is it for the money? Having a small craft business can been a good way to supplement or even replace your income. If you’re trying to do this for the money how much do you need? After you reach that, how much would you like? Is it to be able to work from home? Whether you want to spend more time with your kids or just not be on some one else’s schedule having your own business is certainly flexible but then again you’re always at work. Sometimes I’d find myself going non-stop. Now I make a point not to check my Etsy account during the weekends. Is it for a creative outlet? Do you also like the business end of things because you might be surprised at how many emails and calculations come with running a business. That’s not a problem though you just might want to bring on help or learn more about those things if you need. Whatever your why may be it probably isn’t because it’s the end all be all of your life. But it’s easy to let it become that way. Owning and growing a business is hard work and people online expect you to be available 24/7. For me my family and my sanity is my number one. So while I try to run my business professionally at the end of the day I want it to be something that fits into our lives not that we have to work around. A crazy stressful customer isn’t worth the money! If you have read my initial series you know that I was a big proponent of made to order sales. I would take a sale, have a turnaround time, and then make the item and fulfill the order. Now that Teddy is here, that has been really hard. In fact pretty much every thing is hard with him and he’s a pretty middle of the road baby. I’ve had to be flexible and readjust my expectations at the different stages of my life and business. Also remember to keep in mind that your business is your own it won’t look like someone else’s and that’s okay. Different phases of life (both family and business) will make your business look differently and that’s okay. For example I’m finally coming to grips that my “maternity leave” lasted months longer than I intended and I’ll just be back in time for my most important time, costume season. But that’s okay since the little guy will only be like this for a short time. Sometimes hard work pays off later. Just remember that most things aren’t automatic. Sometimes when the hard work isn’t paying off it might be time to evaluate why? Is it the type of thing that takes time, are you reaching out to the wrong audience, etc. And finally my last thing is to keep learning. One of the big things I’ve started doing is listen to Entrepreneurial books and I LOOOVE it. While I’m sewing or driving I’ll have a business book going and at home I’ll pause it to write down good points because I’m a note taker type. This has been really eye opening and when I’m burnt or have a problem or just don’t feel motivated I’ve felt that that has been a great spark to renew me. I hope to share some of my favorite business books soon :) Also don’t underestimate how much you can learn from people. Read relevant books. I find the entrepreneur focused ones to be super encouraging and helpful since they hit on many aspects of what you’ll face. Talk to anyone who has experience or even related experience. You never know what gem they’ll share or who else they might connect you with. Find some businesses you admire and pay attention to what they do well. Don’t copy them or their product because it won’t work right but do think about the little things that might transfer to your own situation and see how you can implement it or make your own version. I hope this has been helpful. I don’t want to let another 2 years pass before I check back in on this type of stuff so, if you have any questions or ideas for a post that you’d like me to write with respect to my business life please let me know! I love helping when I can. 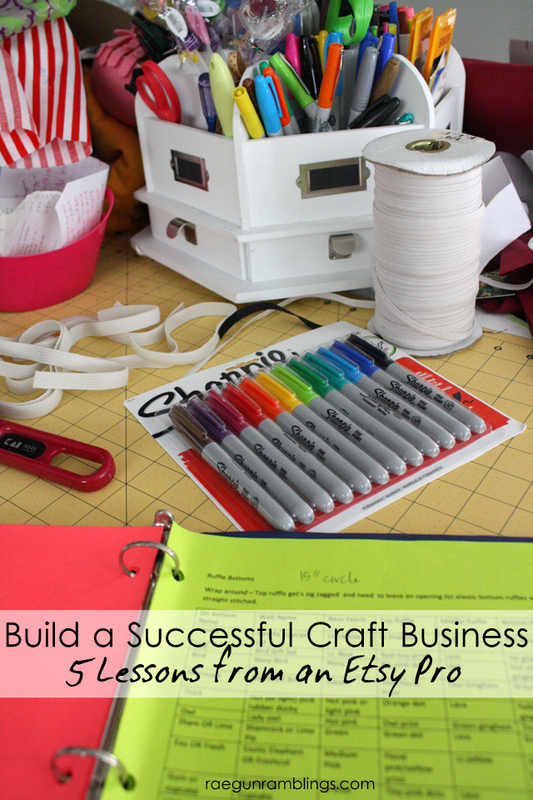 Want to know more about running your own craft business? Check out my Etsy Journey post where I share the details with a year by year break down of how I got my business off the ground. These are awesome tips. I love that you have been able to make such a great company and have the flexibility needed in your life. Howdy! I’m at worfk browsing your blogg from my new ipyone 4! forward to all your posts! Carry on the outstanding work! So mouth watering! That looks irresistible. These are really great, realistic, tips. I so appreciate you taking the time to write this. I’m in the process of starting my own ETSY shop and this is the only thing I’ve read that hasn’t scared the bjesus out of me. LOL New follower here for sure. Have an awesome day! I’m so glad you found it helpful and really there isn’t much risk in trying etsy so I say just go for it! Very useful tips, and encouraging. I’ve reached burnout, wrong audience, wrong timing and new baby so this was nice to come across. Thank you for being here and spending the time to share what you’ve learned. There is learning in everything. Oh man I know how you feel burnout is so easy luckily when it’s this sort of business you can take a step back. It’s not like we have to “go” man a real store so that’s nice. Hang in there hopefully things will look up soon. Thank you, a really good read, I have 4 kids but really want to start my own craft business, I just find it so hard to be organised. Thanks for writing this article. Just wondering do you have an assistant or two to help you out? If so how do you manage them? Small craft business can’t afford to pay, or at least mine, and I’m currently sharing profit with one girl. Is this the way to go? Just found you through a Facebook post from The Daily Sew. Very helpful and will definitely follow along. I’m at the “been thinking about it forever and need to take the plunge” stage. Of all things, your Sharpies have inspired me to get moving. 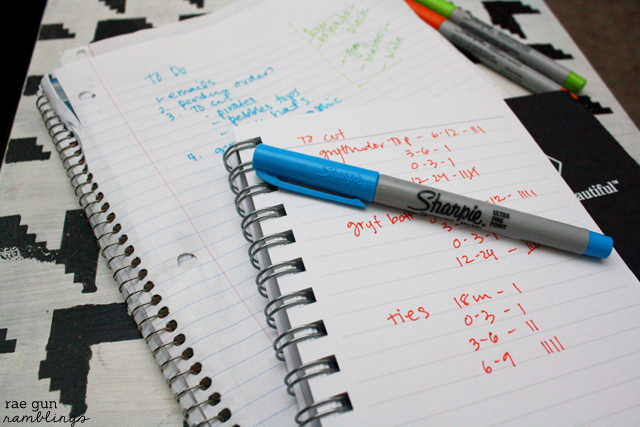 I’m also a paper list maker and adore Sharpies! Thanks for this and can’t wait to read more. Thank you for this post! I came across if looking for info on starting a shop on Etsy (I love to craft!). It has been very helpful especially with 2 young boys! Thanks for posting such encouraging and inspiring advice marissa – I am just starting out in thinking about maybe starting up my own craft business, and most of what I hear is scary as hell, so it’s great to see something a bit more positive – you sound so hard working yet with a very cool chilled out attitude. I hope I can adopt a similar stance if I do take the plunge! It’s work but totally doable. Good luck in thinking everything through! The most important thing is to love what you do because that makes everything so much less like hard work. I’m a craft addict so selling my stuff funds my addiction. I was always making something, so now I make lots of somethings to sell. It doesn`t have to be daunting, it can be a great adventure. It is an opportunity to share a little crafty happiness with others. Creativity is contagious, pass it on. So true although if it really becomes a business there will be days when you don’t love it. And sometimes you’ll have to decide if you want to keep it as a fun hobby or make it a serious income maker and it’s totally fine either way. I’m a firm believer that once you have enough success you should outsource any parts you don’t enjoy if you can afford it! This is such a great post! These are all really good ways to take your business to the next level. Such great practical advice. I’ve contemplated selling stuff but haven’t done it yet. Perhaps because I haven’t set a good goal and figured out the reason yet. I would love tips on starting your Etsy business. I had a store years ago and never sold anything so I closed it. But that is something I would really love to do so I have reopened my store. I am getting new followers everyday and new likes but so far no sells. These are great tips – and I agree, you are inspiring! I love this post! So much information! Thank you for sharing your expertise. Wish I had your awesome hints when I had an Etsy store eons ago! Hi, I am a crafter and do sell my work at a market, but would love to start selling on-line like Facebook, etc., but not sure how to get started, are you able to help or direct me in the right direction. I would like to keep personal and business separate on FB. I stumbled on your website and i have learnt a lot in just a few minutes. Planning to start a side sewing business and started researching on selling platforms. I just wanted to take a time to say thank you!